1974 Honda GL 1000. The Gold Wing was never a racer with its flat four configuration, but it transformed a large part of the motorcycle industry. 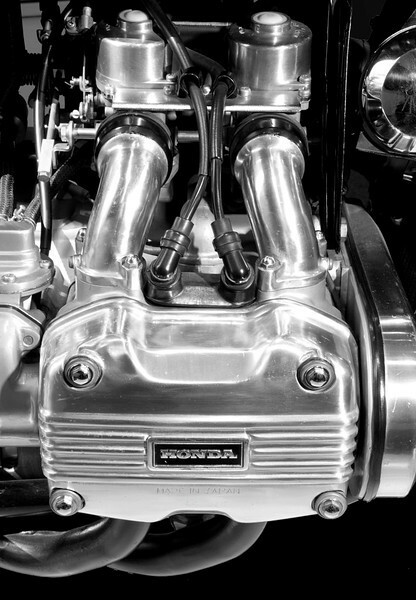 The OHC engine put out a mellow 80 hp at 7,500 rpm. (Honda Collection Hall).